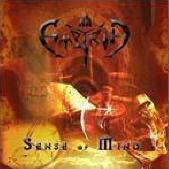 I've waited a long time to hear new material from Empyria and my long wait has been rewarded with "Sense Of Mind." Whereas "The Legacy" was merely a cobbling together of the varying tracks that made up the multi-part epic "The Legacy," "Sense Of Mind" is full-length CD that is solid from beginning to end. However, as much as I liked "The Legacy" I didn't find myself pulling it out of my collection for additional playback sessions. 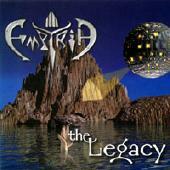 "Sense Of Mind" is a bit heavier than "The Legacy" and that alone will keep me coming back for repeated listens. To my ears Empyria have moved a bit away from the prog-rock titans Rush and moved closer to the prog-metal style made famous by Fates Warning in the late '80s (evidence: "Heaven's Cry"). The disc gets of to a fantastic start with the powerful "Ties That Bind." In fact, the first five tracks are a highly energetic set of progressive metal with enough sensibility to avoid monotony or the standard prog-metal quagmires. That's not to say the tracks on the second half aren't highly energetic - they are. For example, "Long Road Home" could re-establish prog-metal as a vibrant form of music if only enough people in the metal community would give Empyria a chance. The hidden instrumental track at the end of the disc, while different from the other ten tracks, is a particularly engaging piece of music. Phil Leite's impressive vocal abilities are perfect for Empyria's hard progressive edge on "Sense Of Mind"; Leite's vocals are clean and laden with strength - definitely a step up from "The Legacy." It's hard to believe, but guitarist Michael Kischnick covers even more stylistic ground on the ten tracks of "Sense Of Mind" than he did on "The Legacy." Kischnick's soloing abilities are more impressive this time around; the smoldering solos on "Burning Heart" are bright, shining examples of his abilities. The rhythm section of bassist Ken Firomski and drummer Simon Adam is a versatile tandem that provides all the necessary support to make Empyria's complex compositions seem fresh and exciting at all turns. Empyria is Phil Leite on vocals, Mike Kischnick on electric and acoustic guitars, Ken Firomski on bass guitar, and Simon Adam on drums and percussion. Rob Matharu contributes additional guitar on "Heaven's Cry" and "Sense Of Mind" and Troy Taillon plays drums on "Forever." For more information visit http://www.myspace.com/empyria or http://www.empyriaproductions.com. Empyria, veterans of the music scene for over ten years, are a Vancouver-based progressive/power metal band with heavy nods to progressive rock and Canadian legends Rush. The centerpiece of "The Legacy" is the four-part epic "The Lighter Side Of Darkness." The first three parts have appeared on Empyria releases in the past, but are now re-recorded and together for the first time with the previously unreleased fourth part. The music of "The Lighter Side Of Darkness" is very dynamic, clearly recorded, full of challenging rhythms, and very thoughtfully sequenced. Empyria seem like one of the few bands that really know how to carry out a complex musical idea into something that is worth hearing. The plentiful guitar solos, and there are quite a few of them, are inventive and engaging - truly a highlight. The vocals remind me of a more melodic, progressive version of Harry Conklin mixed in with a Bruce Dickinson-like ability to hold a note for what seems like forever. Also included is an acoustic bonus track called "Years Behind" which makes you yearn for the days when MTV's "Unplugged" actually seemed like a good idea. Highly recommended for fans of the progressive genre that aren't afraid of heavy guitars. "The Legacy" was produced, engineered, and mixed by Mike Kischnick. Empyria is Phil Leite on vocals, Mike Kischnick on guitars, guitar synth, and backing vocals, Ken Firomski on bass and backing vocals, and Simon Adam on drums.